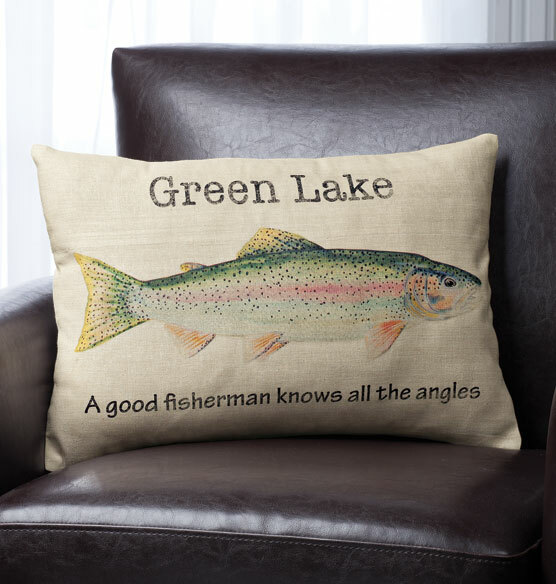 When there’s nowhere they’d rather be than dropping lines in the cool blue water, this Fisherman's Lake personalized pillow is the perfect gift idea. Those who love to fish will appreciate the thoughtfulness and humor it conveys. The cotton throw pillow cover is embellished with either a bass or trout design, depending on their preferred underwater target. Personalized with the name of a favorite lake, this personalized pillow is a one-of-a-kind expression of their passion. The quote about fishermen will make any angler smile. 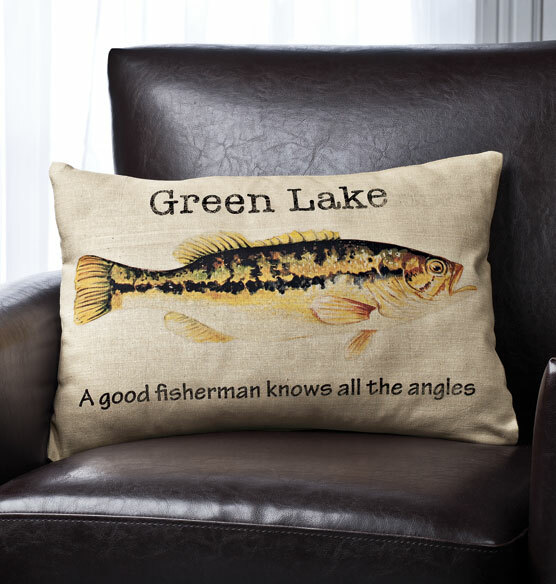 Custom pillow comes pre-printed with the phrase, "A good fisherman knows all the angles"